Being the supporting sponsor of the International Rally of Queensland, India’s biggest tyre maker MRF will have a high-profile presence at the rally event that is to take place in July. MRF’s sponsoring of Queensland Rally is in addition to its already substantial investments in the sport of rally-racing. As an effect of MRF’s sponsorship, not only is the Indian tyre maker supporting its MRF Tyres Skoda rally team and the the Queensland Rally Championship in 2016 but the event officials will also be spotted wearing branded uniforms supplied by the company. The International Rally of Queensland will play host to rounds of FIA Asia Pacific, Australian and Queensland Rally Championships from 17-19 June. 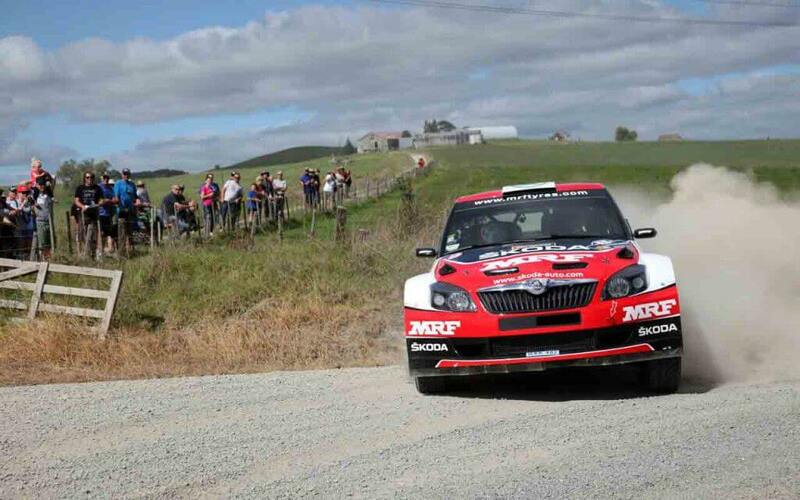 The Skoda-backed MRF Tyres team has won the Asia Pacific championships for the past four years and will compete in Queensland with two Fabia R5 cars being piloted by 2013 champion Gaurav Gill (India) and young Fabian Kreim (Germany). “State series such as the MRF Tyres Queensland Rally Championship and the South Australian Rally Championship, along with individual events like MRF Tyres Akademos Rally in Victoria and MRF Tyres Boddington Rally in Western Australia, which MRF also supports, are fundamental to the sport in Australia and the development of young drivers, which we are keen to foster,” the CEO of MRF Competition Tyres, Australia/New Zealand, and Mentor Tyres Vivek Ponnusamy said.